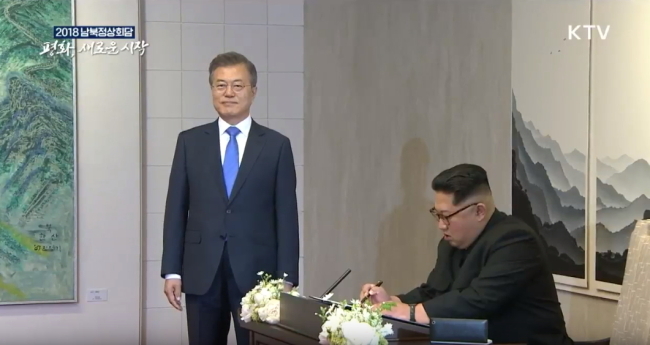 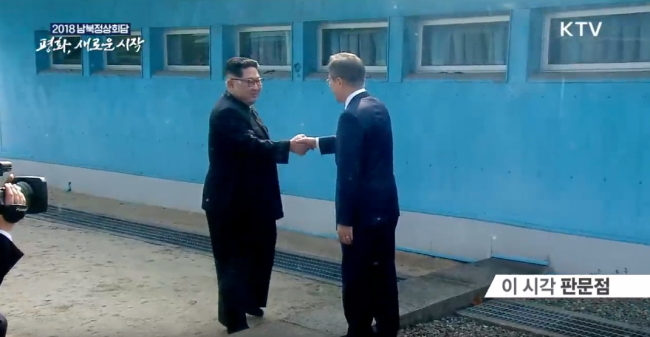 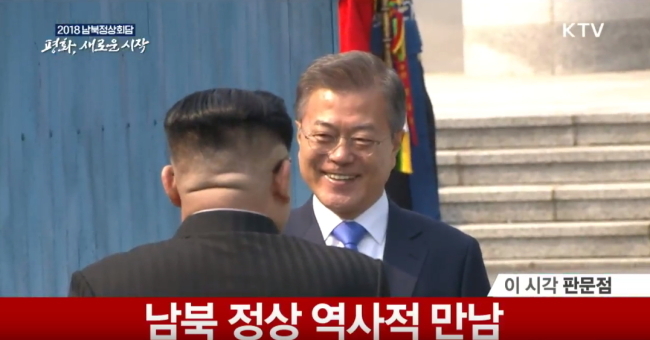 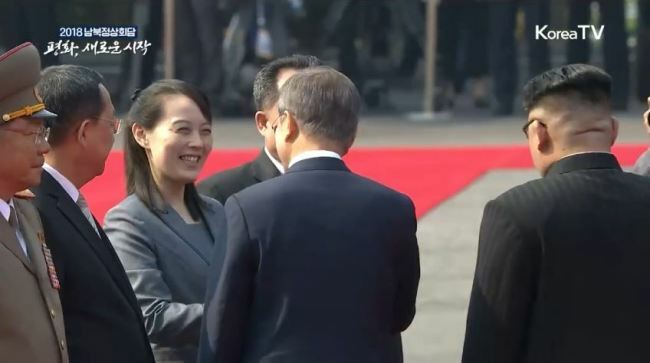 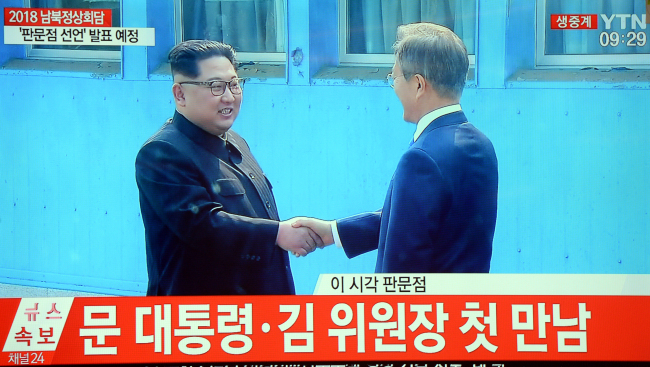 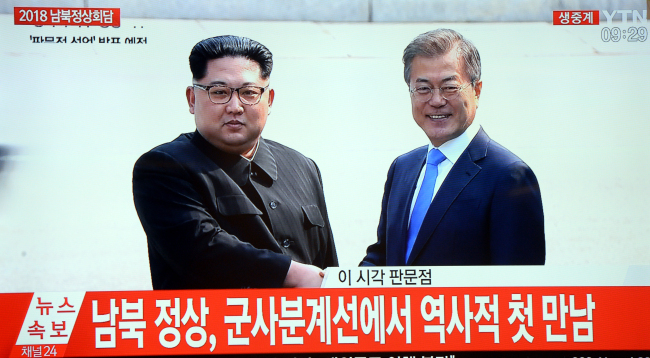 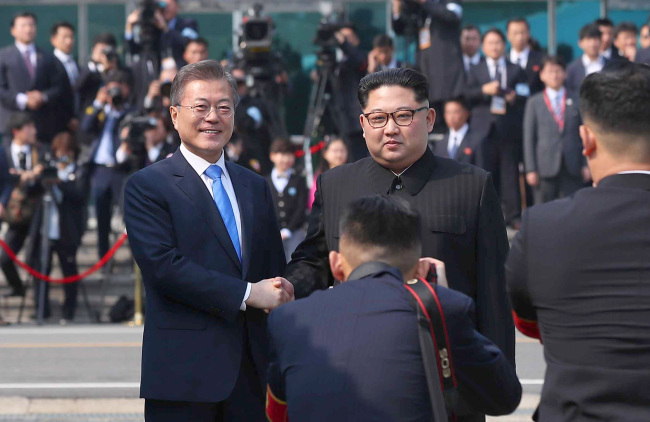 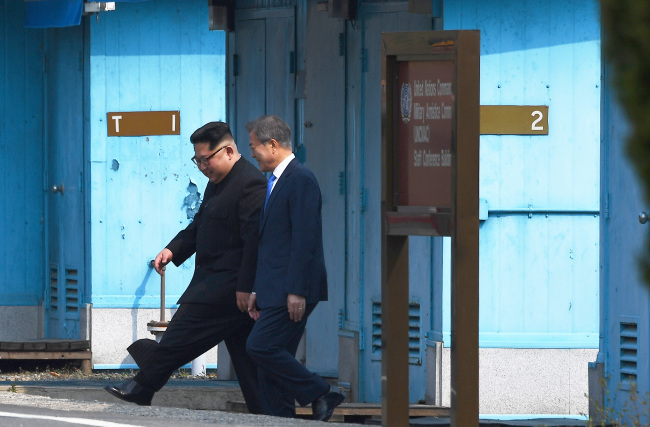 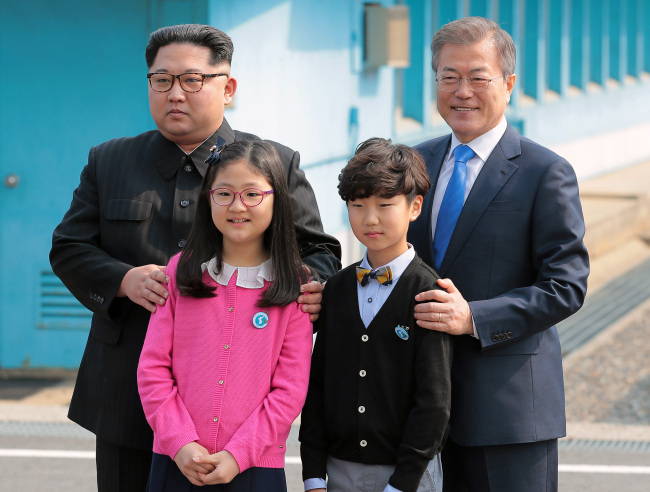 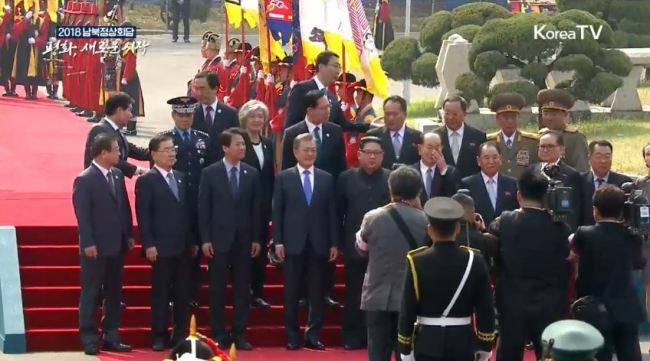 President Moon Jae-in greeted North Korean leader Kim Jong-un as he crossed the border into South Korea at 9:30 a.m. for their day-long summit talks at Panmunjeom. 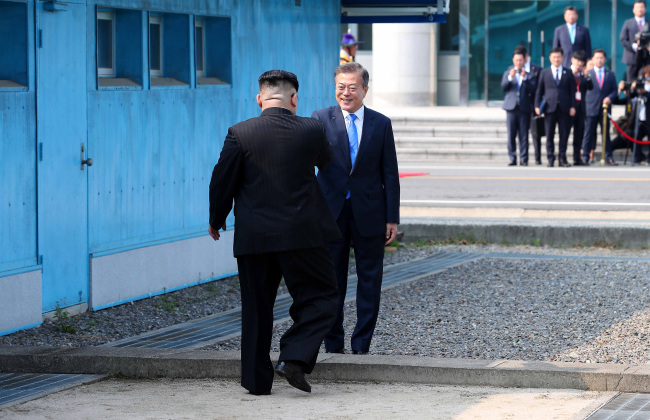 This is the first time a North Korean leader has set foot south of the border since the end of the Korean War. 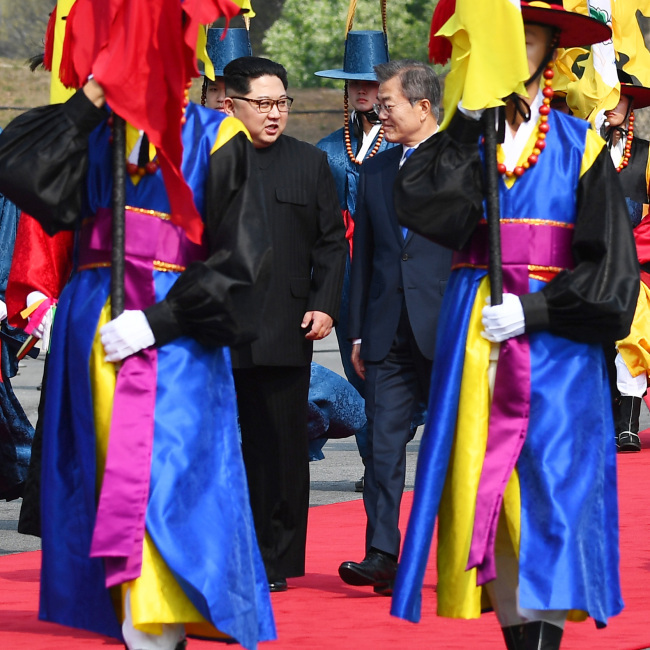 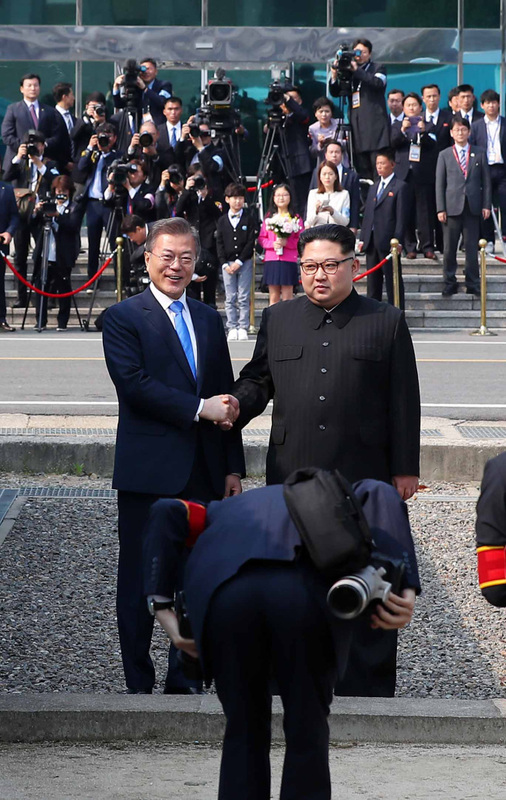 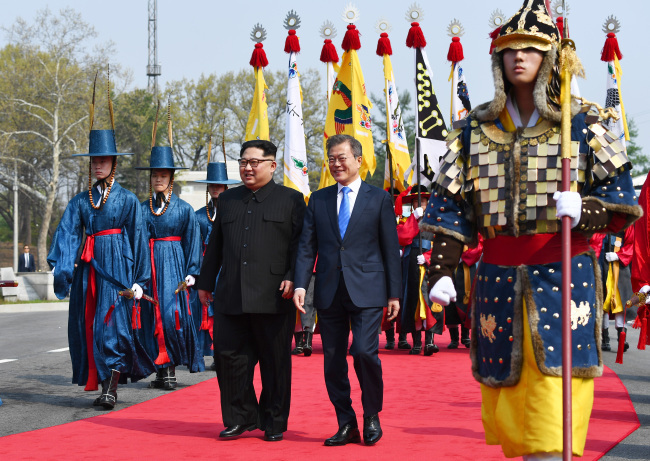 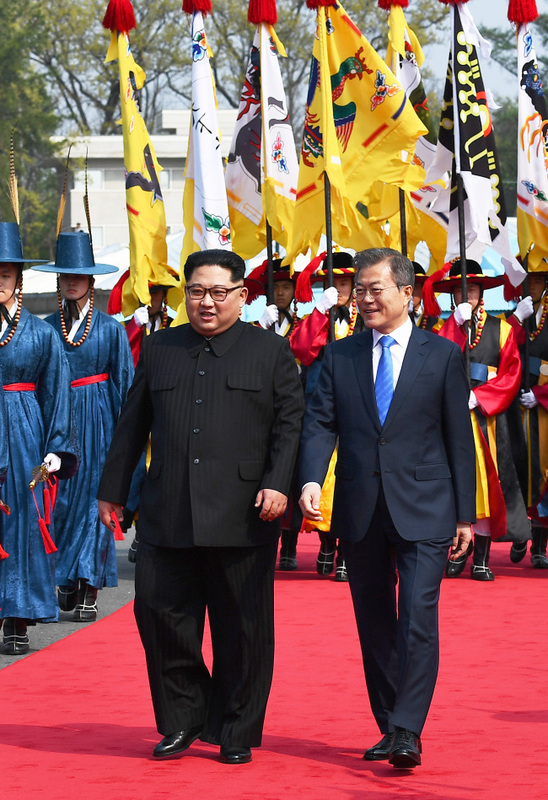 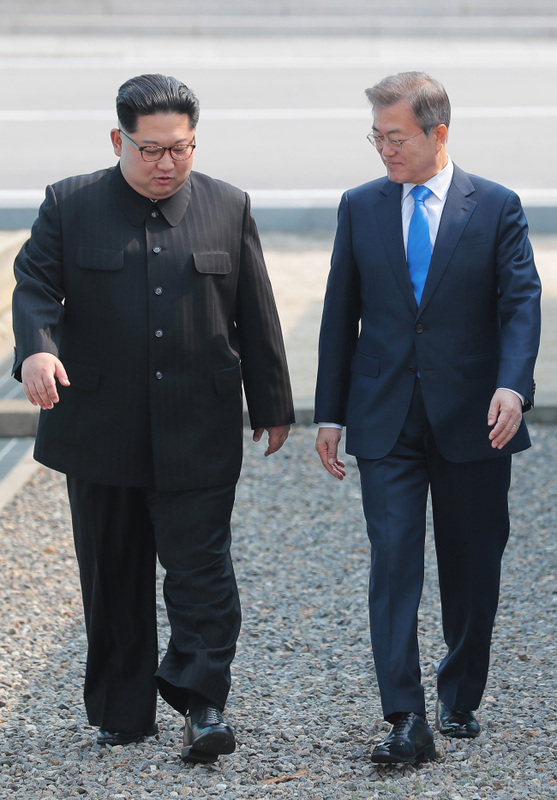 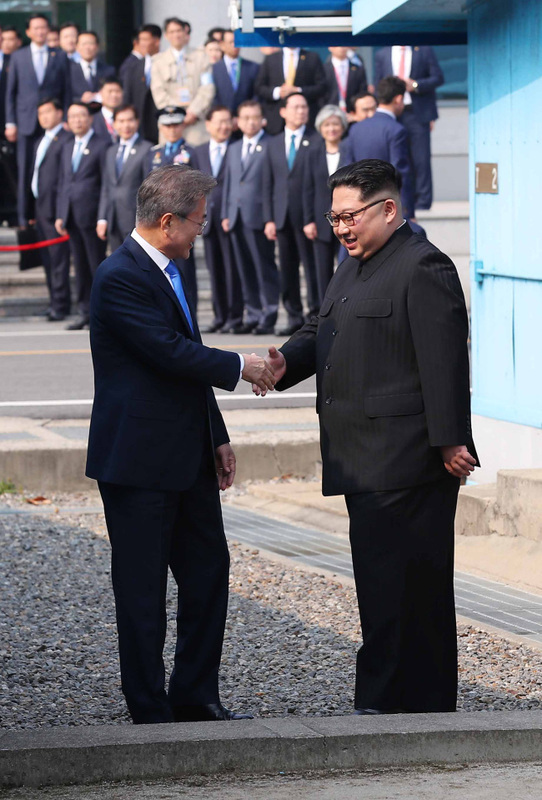 The two leaders were all smiles as they shared a historic handshake, engaged in brief conversation and walked together toward the Peace House, where the summit is to take place.